As a member of a hotel management team, you have work cut out for yourself. With ever changing immigration policies affecting your workforce, shifts in consumer demand and increasingly strict policies from some of your sales channels – it’s a tough gig. The good news is, dedicated writers and content producers are trying to help, providing inspirational resources for you to use in the management of your hotel. 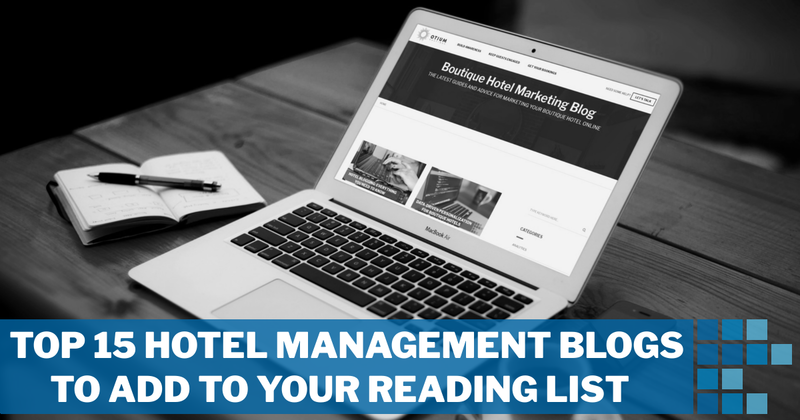 In this post I’ll give a run down of 15 hotel management blogs that we, the team at Otium Boutique, enjoy the most and will hopefully be valuable not only for running your hotel today, but in your future career development. 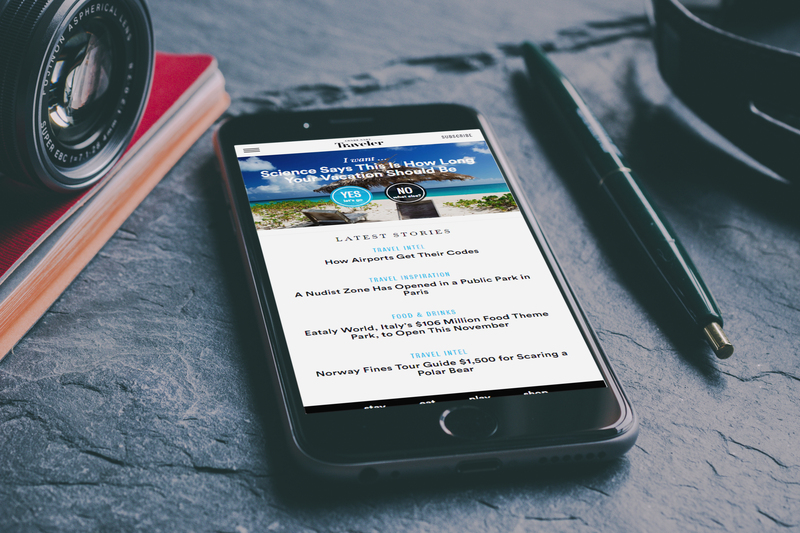 The Hotel Speak blog is aimed at the hotel and travel marketing community. It’s goal is to provide actionable advice for hoteliers and hotel marketing teams. As far as hotel management blogs go, this is definitely more weighted towards marketing and technology. Regular topics include social media, chatbots, search engine optimization and content marketing. Started in 2009, Tnooz is an independent media brand with plenty of experience. Their blog does not focus entirely on hotel management, but rather provides a greater cross section of the travel industry. I personally find Tnooz to be a great place to stay up to date on global travel industry news, as they aren’t only limited to UK and USA. 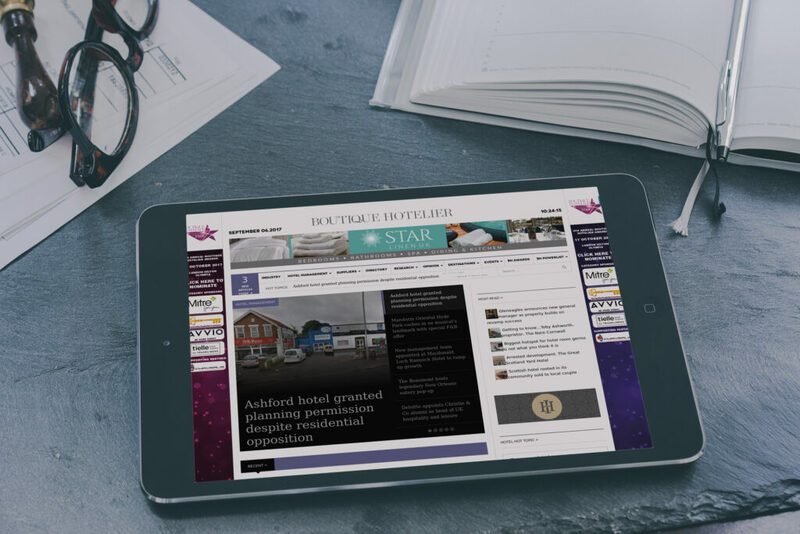 Boutique Hotel News is the perfect site for staying up to date on acquisitions, redevelopments and profiles of real, genuine hotel managers and suppliers. A few times each month, editor George Sell also posts what I consider “Industry Commentary” – short, easy to read pieces about the current state of affairs. Boutique Hotel News keeps you up to date on acquisitions and redevelopments, and profiles real hotel managers and suppliers. 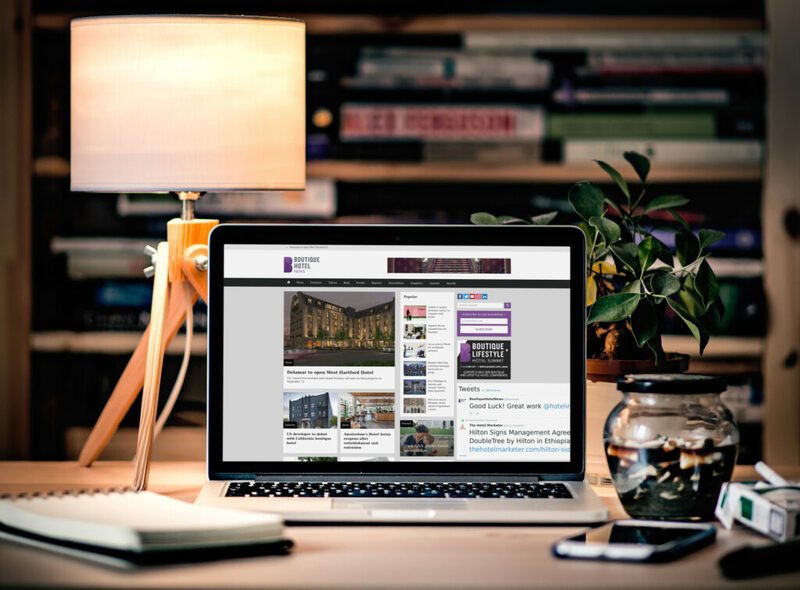 An official UK association, now partnered with HOSPA, the HMA website features a blog with a clear focus on hotel marketing. One of the more unique parts of their blog is their “in the spotlight” profiles, where they speak with hotel marketers. These behind-the-scenes people are often the voice of many hotels but are rarely the public face, so I personally find their comments insightful. For those looking for industry information in the Asia-Pacific region, the Hotel Management blog is a good one to check out. With a focus on Australia, most content involves hotel management, though other tourism, supplier and F&B news also gets a mention. 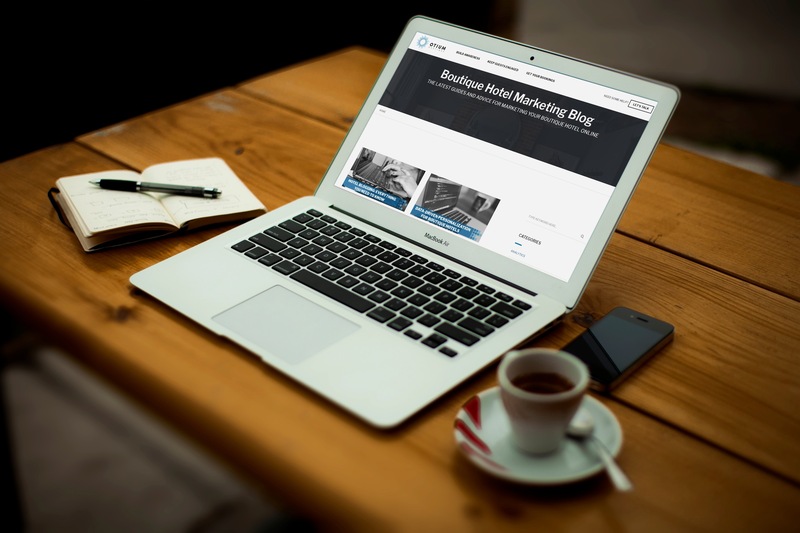 Possibly the best match for “hotel management blog” due to its wide range of topics, Boutique Hotelier is a great resource for news, reference materials, upcoming events and opinion pieces. The blog has a clear focus on UK content, with Europe a secondary focus. Boutique Hotelier is a great resource for news, reference materials, upcoming events and opinion pieces. A non-profit registered in the United States, the International Luxury Hotel Association strives to “provide hoteliers with the resources they need to grow their business, improve standards and advance their careers.” While many publications are biased towards UK and Europe, ILHA features a lot of North American content. Unfortunately the blog content is unnecessarily hard to navigate, but I’m sure this will be sorted in time. Aimed squarely at hospitality management, eHotelier’s content covers a wide range of topics with a mostly global outlook. Along with the blog content, they have a solid database of events related to the hospitality industry. Of course I’m going to mention our own blog here! When the Otium Boutique team got together to plan out our boutique hotel marketing blog, we decided its purpose should be to provide in-depth, insightful information that is actually usable. 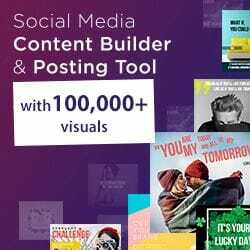 We often find blog content on other sites to 90% advertising, 10% value. We wanted to do the opposite – offer massive value, and if you need help, get in touch. If you have topics you’d like to see us cover on our blog, please let us know! Let us know if there’s any content you want to read on the Otium Boutique blog! Probably not on the radar of too many hotel management teams, Travel Massive is the place where you’ll find social influencers, travel photographers and those doing plenty of hotel blogging. While the blog isn’t updated as regularly as some of the others in this list, it’s a quality resource for hotel marketers – if this is you, check it out! Canucks, this is your place for local info! Though posting international content, a large percentage of articles on Hotelier Magazine is specific to Canada. It’s worth noting that, surprise surprise, Hotelier Magazine is a magazine first and a blog second – many of their pieces don’t feature links to back up statistics or refer to, if you’re looking for more in-depth information. Possibly on the fringe of a “hotel management blog”, Condé Nast Traveler is the perfect example of how content marketing should be done. Dig through the beautiful photos and you’ll find the category “Travel Intel”, which gets a bit closer to what we are looking for, with some interesting insights and stories from the road. Condé Nast Traveler is an excellent example of content marketing done right. Prepare to be overwhelmed! Hospitality Net is huge! Featuring hotel announcements, appointments of staff, a great event calendar and supplier news, it is clearly a quality resource for hotel management teams. They’ve been busy collecting what is now a large database of infographics too. At time of writing, Hospitality Trends seems a little neglected. The content is the same as it’s ever been but the site seems to have a lot of broken pages. That aside, if you’re looking for overall trends especially in USA, it’s worth checking out. In the same vein of Hotelier Magazine, Lodging Magazine is a publication first, blog second. That said, there’s some gold on this site. My personal favourite categories are “Tips and Trends” and “Good Advice”. Of course, there are plenty of other hotel management blogs out there. If you find it hard to keep track, consider choosing 2-3 of the most relevant to your role, or if you’re keen to get organised, consider using an RSS reader to have all new posts from multiple blogs display in a single location. If you feel we’re not aware of a quality blog that all hoteliers should know about, please let us know! And of course, be sure sure to check out the Otium Boutique Hotel Marketing Blog. We welcome any and all feedback!